As usual, I’ll start off with the 5 US$ referral coupon you can receive if you are a new customer. The principle is easy as this: If you use my invitation code 17939205 upon registration you’ll receive a 5 US$ voucher immediately. There will be a specific field in your registration form called “friends invitation program” where you can put the code mentioned above. This way new customers can get 5 US$ off, which is a great to save some money on your first order. Requirement 2: coupon code cannot be combined with any other discount or voucher code. 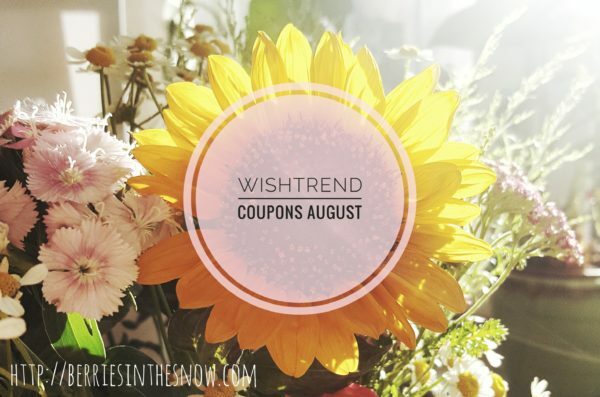 Since the promotion with the I’m from Magnolia Essence was so successful last month Wishtrend created a similar promotion for August. The second promotion code is a special gift again! 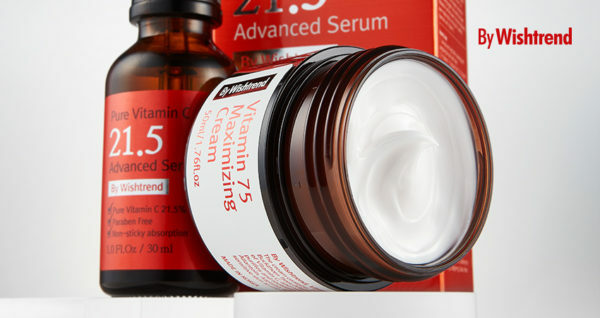 You will receive one free jar of the Vitamin 75 Maximizing Cream (worth 27.90 US$) by using the code below. The only thing you have to pay are the shipping costs! 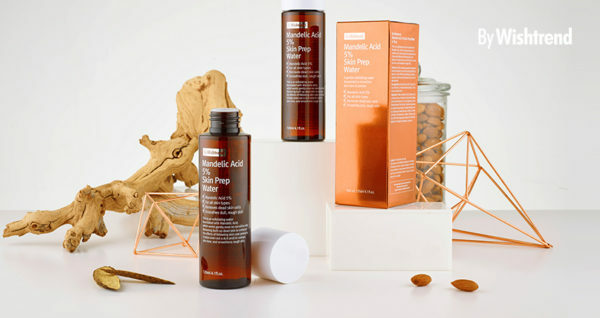 Wishtrend has a newly launched product again, called Mandelic Acid 5% Skin Prep Water. This watery preparation toner is applied directly after cleansing and acts as mild chemical exfoliator. I will write a review soon, but I can already tell you that if you have avoided BHAs and AHAs this might be a consideration since it is much more gentle. 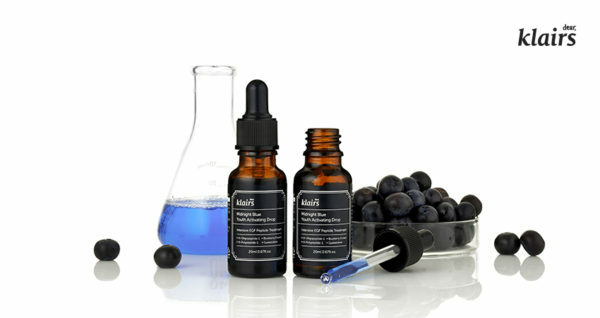 Another recently launched product which I reviewed a couple of days ago is Klairs Midnight Blue Youth Activating Drop. This watery serum reminds me more of a first essence, and also has to be applied early in the skincare routine. It has a light blue color and contains peptides, blueberry fruit extract and guaiazulene and acts conditioning and smoothing on the skin. Read my review >>here<<. Also, their is a limited edition cosmetics pouch by Klairs which looks pretty in my opinion and is also waterproof. 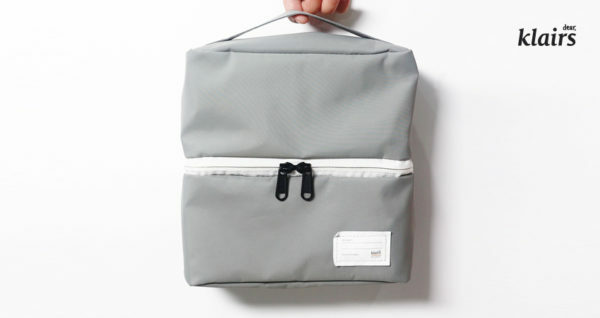 Seems to be great for travelling, too! I would advice you to check out their “Free Shipping Area”, if you do not want to make use of a voucher or coupon code. They have quite some nice items available there, changing from time to time! Do you have any favourite item from Wishtrend? What would you love to try from their products?